We informed our readers a few hours ago that the trailer of Bharat will be unveiled on April 24 and now, the makers of the Salman Khan-Katrina Kaif starrer have released the first poster of the film. 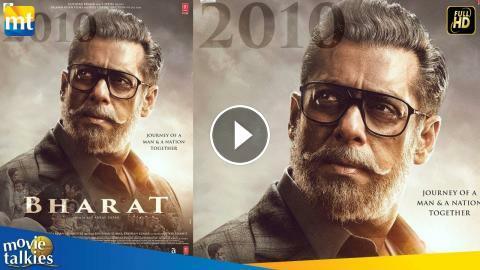 The first poster features Salman Khan as an old man. The actor, who is playing the titular role, is looking suave in his salt and pepper hair and his bearded look will certainly give major style goals to the senior citizens. The debonair star is clad in a coat and also wearing a pair of glasses. Salman will be seen sporting five different looks in the movie, which chronicles the journey of a man from 1947 to 2002. The first look has got us mighty impressed and we are eagerly waiting to see all his avatars. Bharat also stars Nora Fatehi, Tabu, Disha Patani and Jackie Shroff in the lead roles. Bharat, which is an adaptation of Korean movie An Ode To My Father, will release on Eid, 2019.